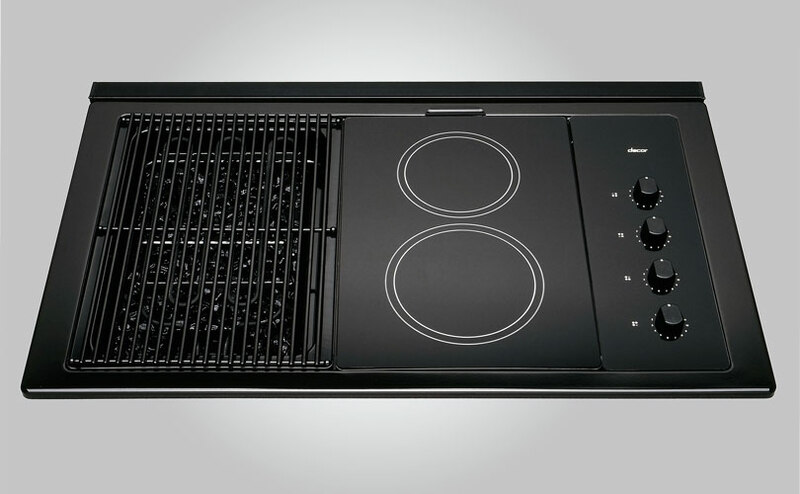 Our first project with Dacor, and our first in the appliance industry, was this line of modular electric cooktops. Available in two or three module versions, with cooking element choices of solid electric, ceran (under glass) electric, barbecue or griddle. These cooktops offer versatility and customization to suit a wide range of personal preferences.